We are engaged in offering our prestigious clients a very highly premium quality range of Industrial Mild Steel Channels. Our Mild Steel Channels range is known for its excellent quality, robust range and durable in nature. Our range is available at market most leading price. 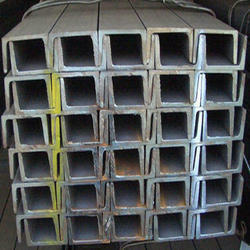 Nav Bharat Enterprises are Leading Wholesaler and Trader of Mild Steel Channels are used for the construction of bridges, building, industrial sheds and structure also for manufacturing of ship and many other utilities. Navbharat Enterprises are leading supplier, trader and whole seller of a wide range of Mild steel channels are known for their strength, durability, corrosion resistance, temperature resistance, and longer service life. The range finds extensive usage in the construction of bridges, buildings, industrial sheds and structures and automobile industry. 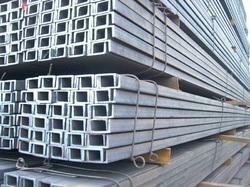 Looking for Mild Steel Channels ?